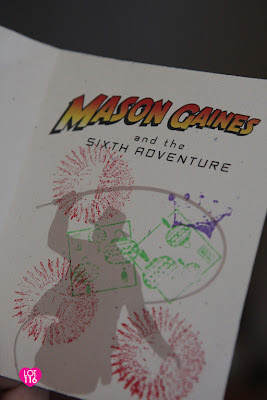 The final installment of the birthday party blog post for Mason’s Sixth Adventure is all about the FUN stuff that makes a birthday party a PARTY: games/activities, cake and goodie bags! If you missed parts one and two of this blog series, click here: AWESOME BIRTHDAY PARTIES – Indiana Jones Theme Part One and here AWESOME BIRTHDAY PARTIES – Indiana Jones Theme Part Two. 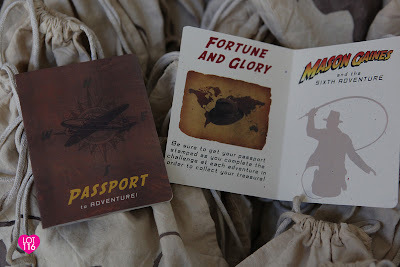 GAMES/ACTIVITES: I tried to incorporate an element from each of the Indiana Jones movies into the different activities. 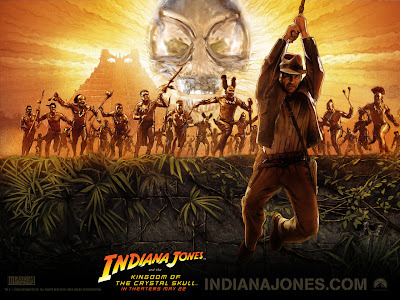 From “Raiders of the Lost Ark” there was the Snake Pit Crawl and the Pass The Idol game. 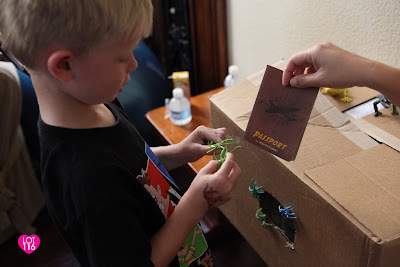 From “Temple of Doom” there was the Bug Box Grab (remember when Willie had to put her hand through the hole in the wall…that was overflowing with huge, creepy bugs…to push the stone that would save Indy and Short Round from the walls closing in around them?…yeah, something like that). 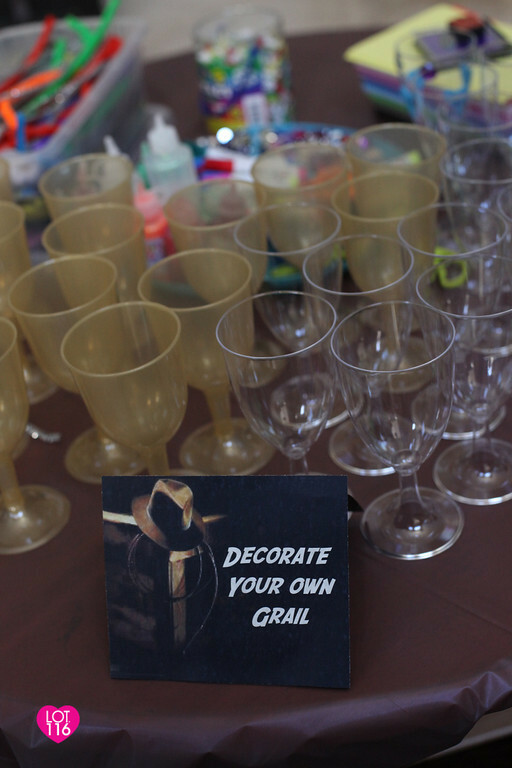 From “The Last Crusade” there was the Decorate Your Own Grail craft. 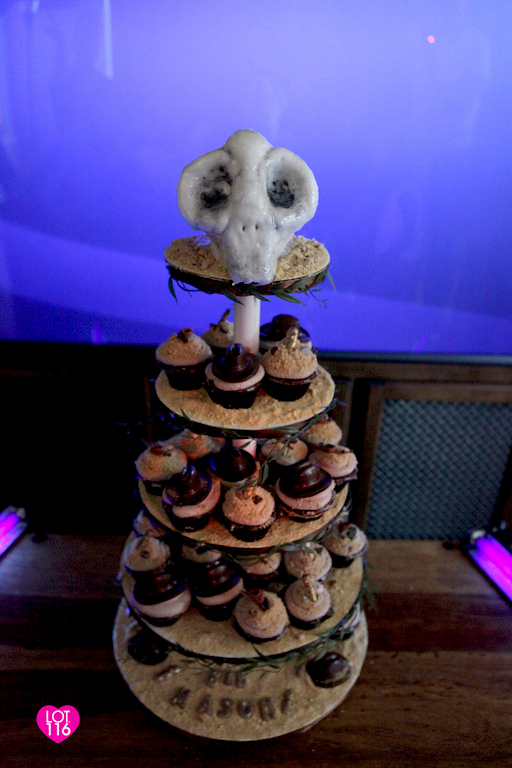 The “Crystal Skull” theme was tied in with the cake and decorations. The Tribal Markings tattoo station and Mummy Wrap game could represent any of the movies. 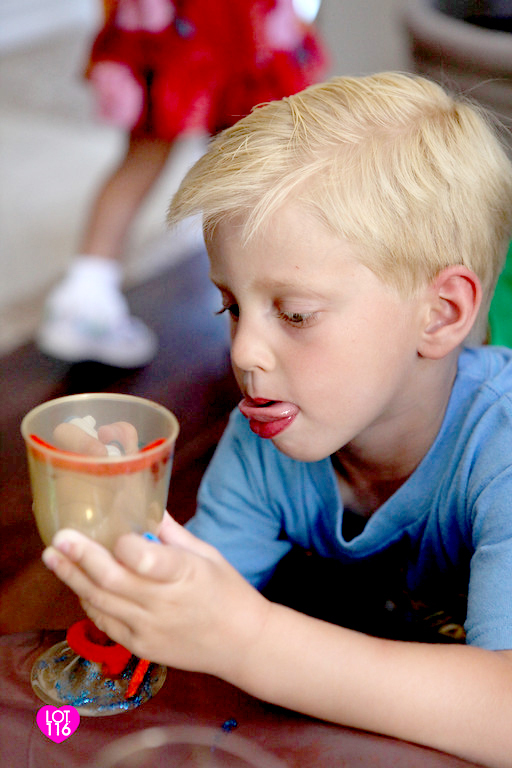 Rather than having all thirty kids do each activity at the same time, everything was set up in stations and the kids were able to participate in each at their own pace…and multiple times if they wanted. After walking through “The Jungle”, each child was greeted by me as Marion Ravenwood, given a “Passport to Adventure” and told to collect stamps after completing each activity or challenge in order to claim their reward (goodie bag) at the end of the party. After completing an activity, each Adventurer would receive a stamp in their passport. 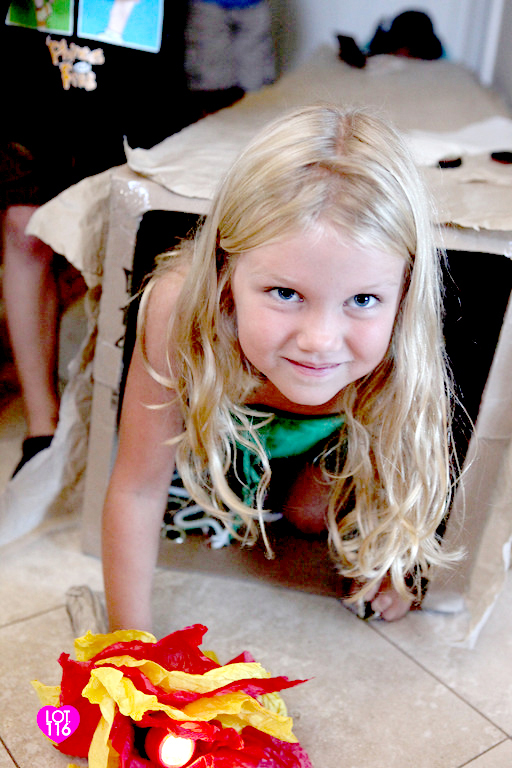 The Snake Pit Tunnel Crawl: My husband attached a few large moving boxes end to end with duct tape to create a dark tunnel. We threw about seven dozen plastic snakes and gold coins into the pit and the kids had to crawl through and gather as many coins as they could. The kids were given a “torch” to help them navigate through the dark tunnel. I wrapped red flashlights from Dollar Tree with red and yellow tissue paper to simulate flames. 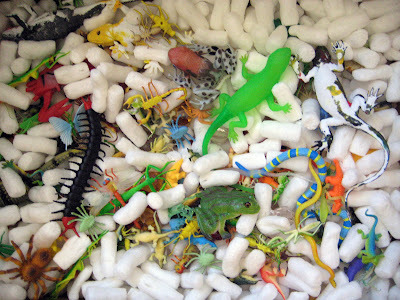 The Bug Box. We filled a box with packing peanuts, creepy crawlies, and jewels…then closed the top and cut a hole just big enough for the kids to reach their hand through and try to feel around for jewels. The kids got to keep the jewels (and/or bugs) that they pulled out of the box. Getting a tattoo at the Tribal Markings station. “Decorate Your Own Grail” – plastic wine glasses from Party City served as goblets for the kids to embellish with jewels, pipe cleaners, glitter glue, foam shapes, etc. “Throw Me The Idol” – a hot potato game using my brother-in-law’s Golden Fertility Idol replica (it’s actually a plastic/resin coin bank, so it was pretty durable). 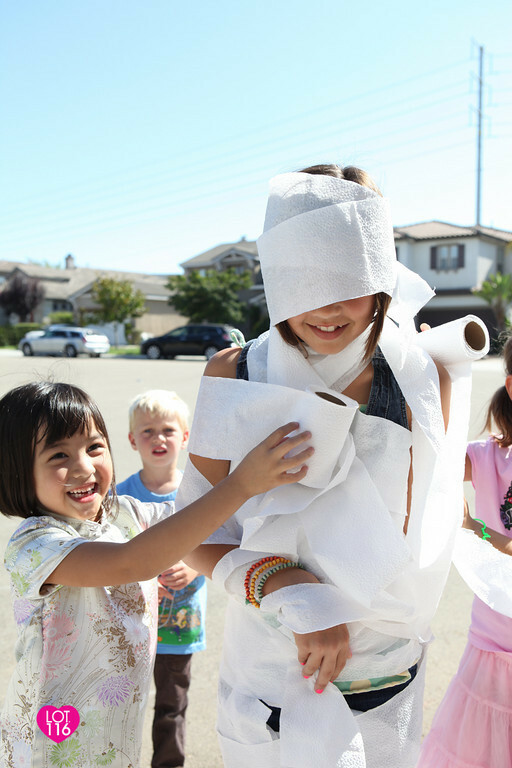 The Mummy Wrap Game: The kids were divided into teams and given rolls of toilet paper to see who could do the best wrap of their teammate. 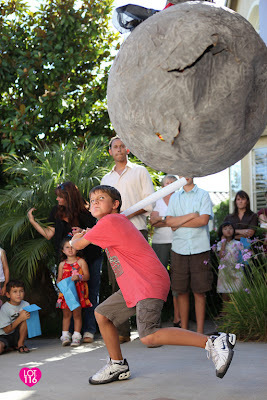 The Birthday Boy getting ready to take a swing at the homemade boulder pinata! The final blow! 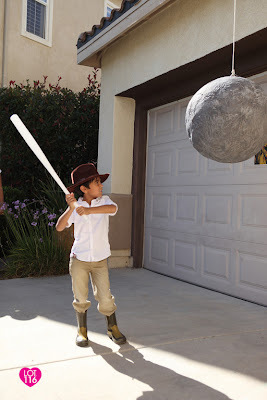 Because the homemade pinata wasn’t entirely structurally sound, we filled it with lightweight items such as bags of chips, cookies, small toys….in addition to assorted candies. CAKE: As with all our birthday parties, I pretty much leave the cake design up to my friend, Jeff, of Rhino Cake Company. He is so creative and everyone always looks forward to seeing what he comes up with. Besides choosing the cake flavors and deciding whether to do a cake or cupcakes, I tell Jeff that he has the creative license to “do his thing”….and he always ROCKS it! Another amazing Rhino Cake Co. creation: cupcake tower complete with alien “crystal skull” topper that glowed when shown under black lights. How awesome are these cupcakes!!! 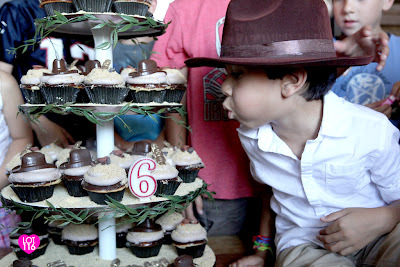 Jeff used crushed Pecan Sandies to create the “sand” topping and molded chocolate fedoras, idols (painted gold), and fondant whips. He also made some graham cracker “sand” topping (for those with nut allergies or who don’t like nuts). 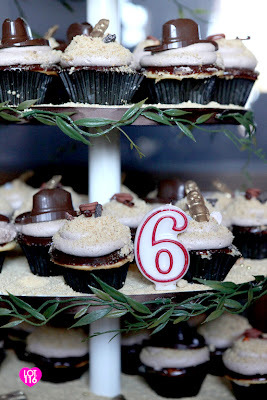 Mason had picked out a special “6” candle for his cupcake tower….which I had somehow misplaced and couldn’t find right before cake time…so my friend, Tina (who shares the same birth date as Mason) let us borrow her son’s. Thanks, Kiki for running back to the house to get it for us! 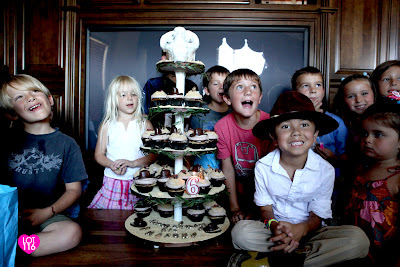 Note to self: next time have the lighter, candles, cake plates, forks, and cake knife in one location before cake time! 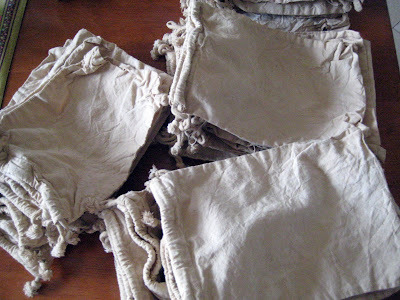 Tea-staining white muslin drawstring bags to give them an aged look: I soaked the bags for a few hours in a heavy brew of boiled tea bags, wrung them dry and threw them in the dryer to set the stain. The tea-stained bags right out of the dryer. 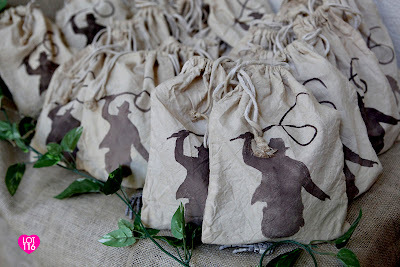 …then I created a stencil of the Indiana Jones silhouette and painted all the bags, freehand painting the “6” whip. 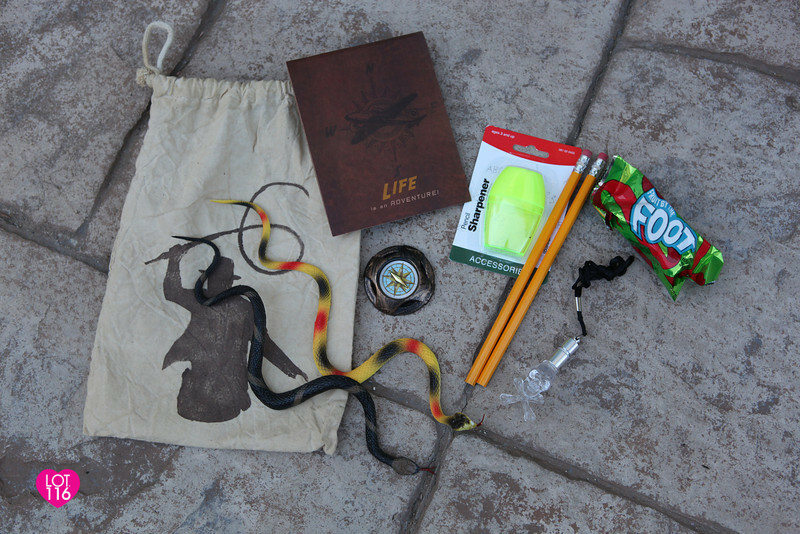 Contents of the goodie bags: A custom-made “journal” using notepads from Dollar Tree, pencils and sharpener from Target, a plastic compass from Dollar Tree, and an LED blue and red flashing crystal skull necklace from Rhode Island Novelty. I also threw in assorted treats (fruit roll ups, etc.) 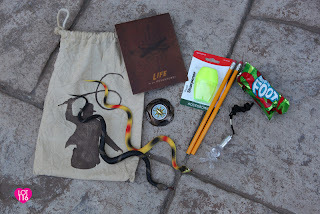 and snakes from the snake pit (didn’t really want to keep seven dozen plastic snakes at home). Each adventurer received a goodie bag AND a very Indy-like brown, felt fedora hat, from Rhode Island Novelty. 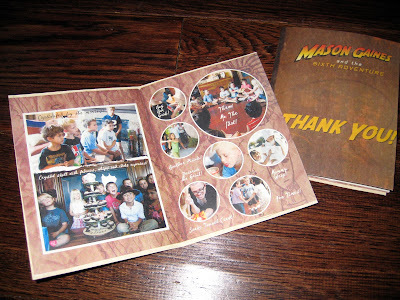 The thank you notes followed the look of the invitations with a mini “journal” that used my sister Julie’s wonderful pictures. 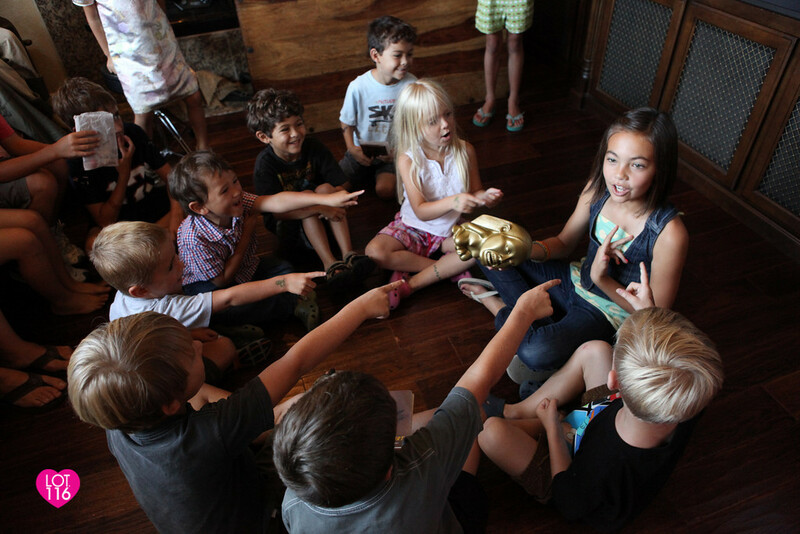 Another fun, creative, AWESOME birthday party…planned in just a couple of weeks and successfully pulled off, thanks to my party planning “Dream Team”: Jeff (cake), Julie (ideas and photography), Mark (tons of creative ideas, props, and making the boulder pinata), Tyan and Aaron (ideas and the boulder pinata, snake pit tunnel), Makala and Maylie (decorating, assembling the goodie bags, and helping with the activity stations), Mary, Nana Sue and Allison (preparing most of the food and helping with activities, clean up afterwards). 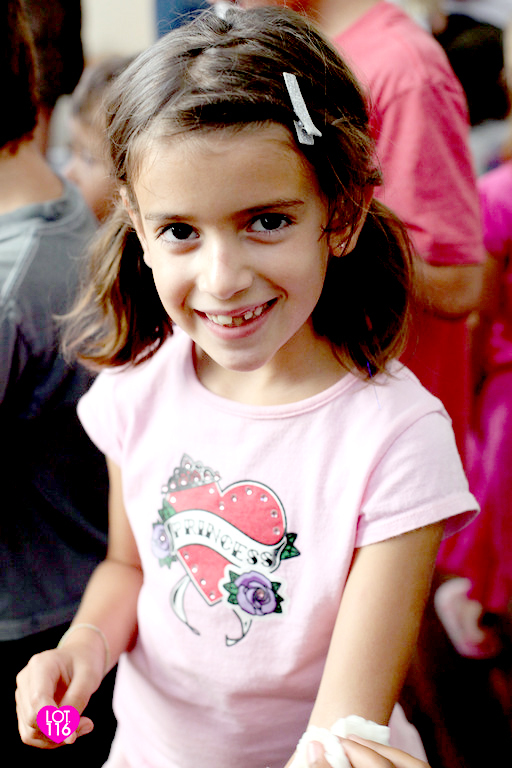 THANK YOU….we couldn’t have had such an awesome party without you! Worth the wait! 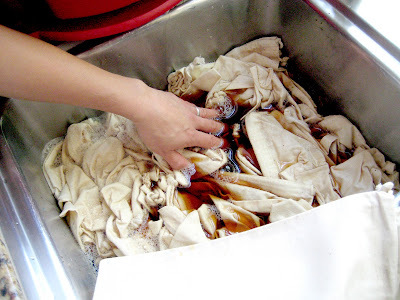 Great blog series. 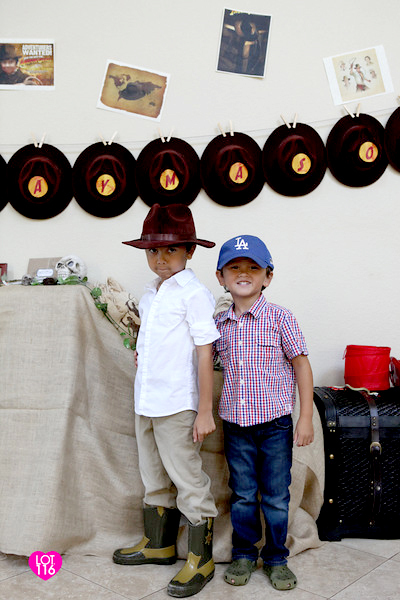 Amazing party. You guys are so creative! Your kids are so lucky! 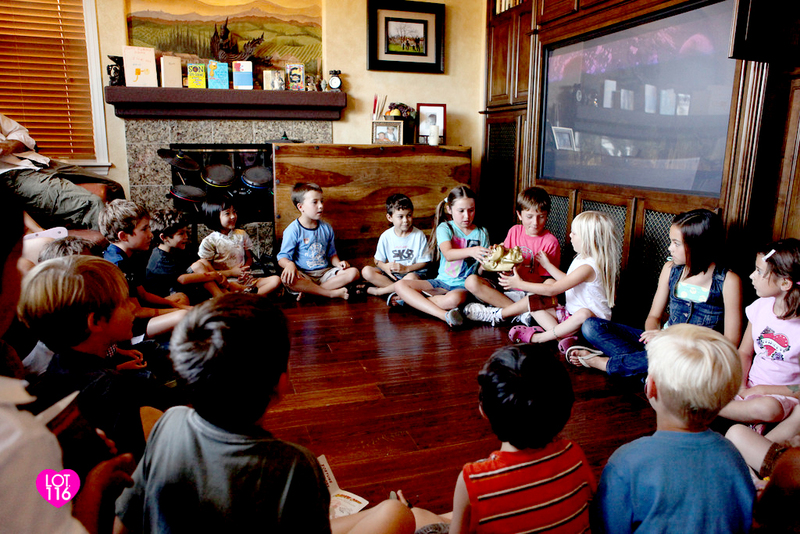 You are giving them memories that they will cherish for a lifetime. I love how much you think about the party attendees too. Very, very thoughtful. You are an amazing talent, wonderful woman/Momma and best of all you remember what it is like to be a kid and can put yourself in their shoes!! 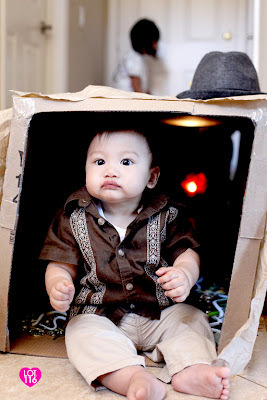 You come up with the most creative ways to make your son's birthday's unique and fun for both the kids and adults!! Way to go!!! 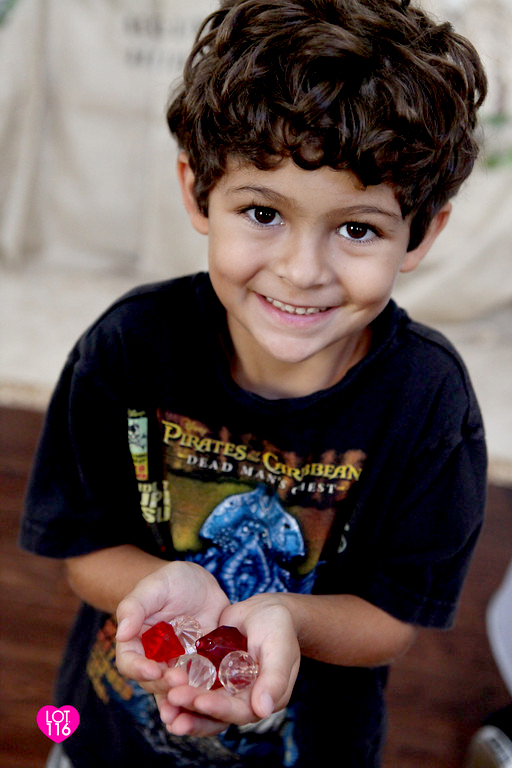 Can't wait to see you blog about Isaac's Pirate themed party.